Web application designed and developed for the Polish-American structural steel detailing company. 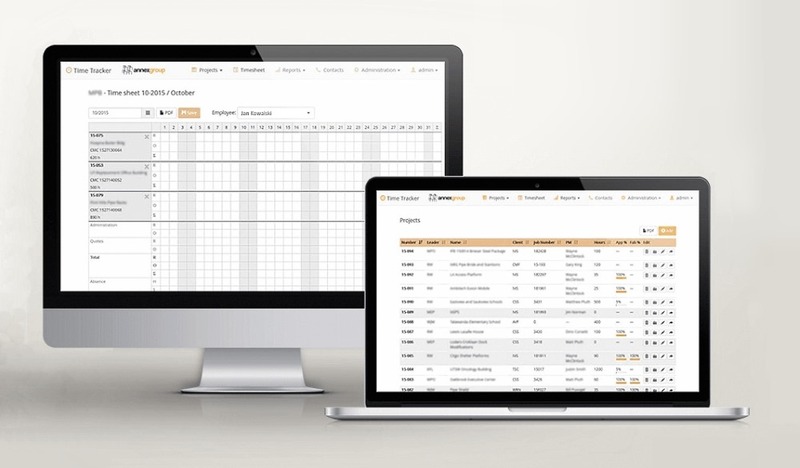 A time scheduling application with a simple, easy-to-use interface similar to the spreadsheets that were used by our client. It alows to create projects, manage teams and provides time sheets for all the employees. The application also generates multiple reports that provide essential data about the time spent on every project.